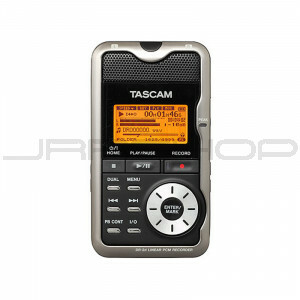 TASCAM's DR-2d Portable Digital Recorder brings high-resolution recording to a compact, affordable package. It offers up to 96kHz/24-bit WAV or MP3 recording to SD cards, and recordings can be transferred to computer through high-speed USB 2.0. A new dual recording feature records a copy of your audio at a lower level, so if the level suddenly jumps you have a backup instead of a distorted performance.